Stone and Taney County Residents Ask for Local Discount! Call for schedule and times @ (417) 332-2529. Springfield, Missouri – August 14, 2013 – This Saturday, August 17, Florentina’s Ristorante Italiano in Springfield is celebrating, and giving back to the community with “Free Spaghetti Day” for one entire day. Florentina’s Ristorante Italiano opened it’s doors in the Battlefield Marketplace early in 2013 serving lunch and dinner, featuring a number of specialties including daily made-from-scratch fresh baked bread, authentic brick oven pizzas, family style dining, catering and banquet facilities, an extensive wine list, a weekday lunch menu starting at $6.99 and a comfortable, sophisticated atmosphere welcoming to couples and families alike. “Free Spaghetti Day” at Florentina’s Ristorante Italiano will be from 11:00 a.m. through 10:00 p.m. on Saturday, August 17, at 900 E. Battlefield. Every dine-in guest will be offered a complimentary Spaghetti Marinara entrée, served with Florentina’s own fresh baked bread. Additional entrées, appetizers and desserts from the full menu will be available at regular price. Guests will also be able to register for a $600 Branson vacation that includes lodging, dining and Branson attractions like Silver Dollar City, Dixie Stampede and Branson’s IMAX Entertainment Complex. For more information call: 417-883-5678 or visit our website at www.florentinasspringfield.com. (Branson, MO.) 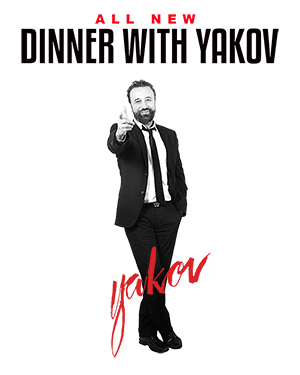 The all new hit show “Dinner with Yakov” is returning to the Branson stage in the fall of 2014 with his side-splitting comedy and a delectable mouth- watering feast. As scheduled for this season (2013), Yakov will be performing “Dinner with Yakov” at his Branson theater during October and November of 2013, after traveling around the U. S. with his acclaimed “The Happily Ever Laughter Tour.” “Dinner with Yakov” gives fans a chance to enjoy a delicious dinner with a star, while laughing the entire way through their meal. A mainstay in the entertainment scene since the late 1970’s, Smirnoff was a regular guest star on the award winning NBC sitcom, Night Court. 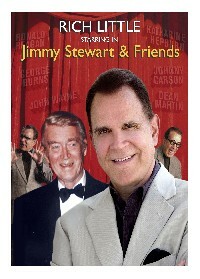 He has been a popular guest on numerous national TV shows including the Tonight Show. 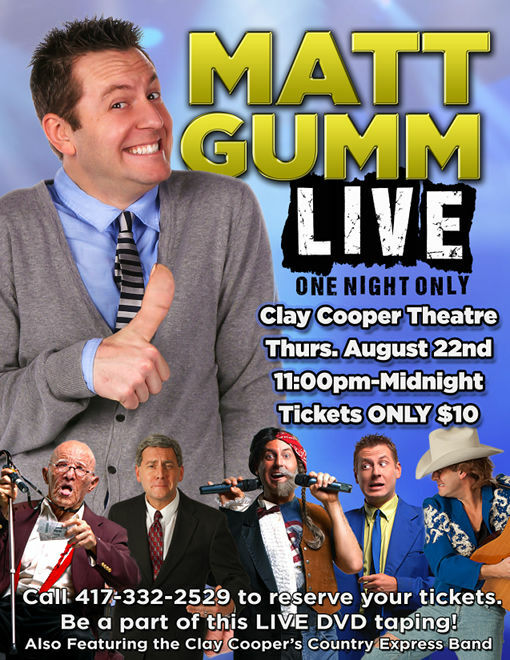 You’ve seen him on HBO and enjoyed his humor on his highly praised Showtime special. “Yakov is a funny philosopher,” stated The Philadelphia Inquirer. His humorous philosophies can also be heard at Missouri State University and Drury University, where Smirnoff is a professor who teaches about the relationship of love and laughter. Also a bestselling author, Yakov received his master’s degree in psychology from the Ivy League University of Pennsylvania. Whether on stage or in a classroom, Smirnoff’s audiences love him. He is passionateabout helping people extend their honeymoon stage of their relationships and “fall in love and laughter all over again.” While in the process of doing so, he leaves his crowd in stitches, fulfilling his promise that you will laugh your Yak- off. BRANSON – As a special presentation of the Branson Arts Council, Pianist Nicolas Susi will perform a concert at the Old Stone Church at 7:30 p.m., on Thursday, Aug. 8. Admission is free and open to the public; free-will donations to help the Branson Arts Council continue to provide these community concerts will be accepted. A St. Louis native, Susi will be playing selections from “Sonata in B minor, Hob. XVI:32” by Franz Joseph Haydn; three movements from “The Firebird,” by Igor Stravinsky (translated by Guido Agosti); “Keyboard Suite no. 5” (“The Harmonious Blacksmith”), by George Frederic Handel; and “Variations and Fugue on a Theme by Handel,” by Johannes Brahms. Susi is a graduate of the Community Music School of Webster University in St. Louis, with continued studies at the University of Kansas, the University of Michigan, and at the Hochschule fur Musik und Tanz Koln in Germany. He received the first prize at the international Klavierfestival Rosrath, second prize at the 2009 Kind Award for Young Artists competition, first place in the 2008 Spire Piano Competition, and numerous scholarships for musical study. Other appearances by Susi include the Omaha Symphony, St. Louis Chamber Orchestra, Philharmonia of Greater Kansas City, and summer music festivals in Canada, Italy and Austria. Susi is now a freelance pianist, maintaining a busy schedule of performing, accompanying, and teaching.